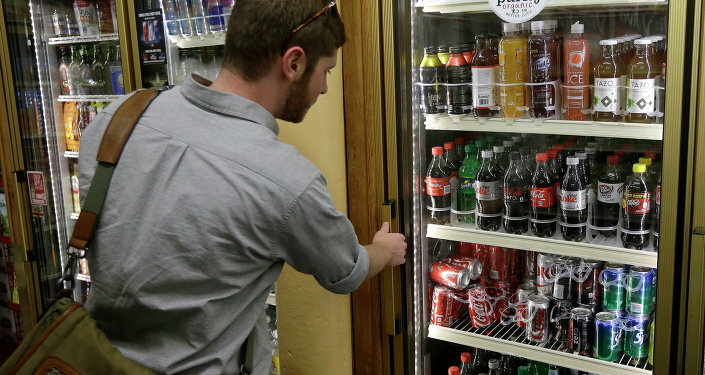 The Philadelphia soda tax, passed in mid-2016, and implemented in early 2017, has resulted in alcoholic beverages becoming more affordable amongst consumers within the city limits, whilst the achievement of fiscal goals is hindered by plummeting soda sales, having a negative effect on the city’s economy. Kristian Rouz – In June 2016, Philadelphia City Council passed legislation that introduced a city-wide tax on non-alcoholic sugary beverages, such as Coca-Cola. The Democrat-dominated (14 Dems to 3 Republicans) City Council claimed the measure would drive obesity rates down, thus improving public health and contributing to the achievement of other goals of their environmentalist agenda. However, the law turned ugly, making beer more affordable than non-alcoholic beverages within city limits, which renders Philadelphians more inclined to increase their consumption of alcohol, with consequences reaching beyond the public health debate. The low labour productivity and participation rates across the US are not least attributed to workers’ substance abuse, including alcoholism. The recent study by the Tax Foundation discovered that Philadelphia’s soft drink excise tax, at 1.5 cents per ounce, exceeds Pennsylvania’s excise tax on beer by 2,400 percent. This renders retail prices on beer, such as Pabst Blue Ribbon, lower than the retail price of the same volume of Coca-Cola. Consumers typically follow the principle of affordability, and even though the soda tax might in the long run benefit public health by lowering obesity rates due to lower sugary soft drink sales, the risks that alcohol poses are much greater. The City Council expected some $410 mln in soda tax revenues over the next five years, which would be used to fund educational programmes to help low-income residents get out of poverty. However, the immediate consequences of the soda tax introduction included the loss of jobs in fast food, soft drink distribution and supermarkets. Thus far, the city allocated only 49 percent of the soda tax revenues to education, and as tax avoidance and declining soda sales undermine the prospect of reaching the City Council’s original fiscal goal, the projected higher alcohol consumption puts the city’s entire economy at risk, the Tax Foundation said. Besides, many consumers chose to keep buying soda – outside the city limits. The rest of Pennsylvania still sells fizzy pop at the old price, which is not subject to change anytime soon. Meanwhile, soda tax collections are predictably lagging behind earlier projections. As of June, tax collections were 15 percent below expectations, at $39.5 mln compared to the targeted $46 mln. Due to lower soda sales, down by roughly 50 percent year-to-date, PepsiCo announced they would lay off 100 workers because of the city tax hitting their revenue, down 43 percent within the city limits. Such developments will hardly help overcome poverty, as blue-collar jobs are crucial for providing the basic life needs of low-income residents. The services sector has also been affected by the tax. Fast-food chain, Wendy’s, has begun passing the tax onto its customers in Delaware County, resulting in a higher average check. The problem is, Delaware Country is not within the Philadelphia city limits, but the regulative burden driving food and drink costs is affecting increasing amounts of consumers. The Tax Foundation points out that whilst fighting obesity rates though consumer price regulation has thus far resulted in the underperforming tax collections, the increased funding of social programmes is likely a goal that is still hard to achieve due to the low predictability of the soda tax revenue. Meanwhile, as the soda tax indirectly encourages beer consumption, public health concerns are not getting easier. Whilst other cities, such as San Francisco and Seattle, have considered a soda tax, the economic effects of higher alcohol consumption appear to be devastating, given the US labour market is suffering a severe shortage of competent workers.